Hey my beautiful ladies! Sandal season soon will be in full swing. This year instead of buying a new pair of sandals, try to do some by yourself. From glitter and bows to studs and rope, everything can potentially embellish last year’s sandals into something new and trendy. 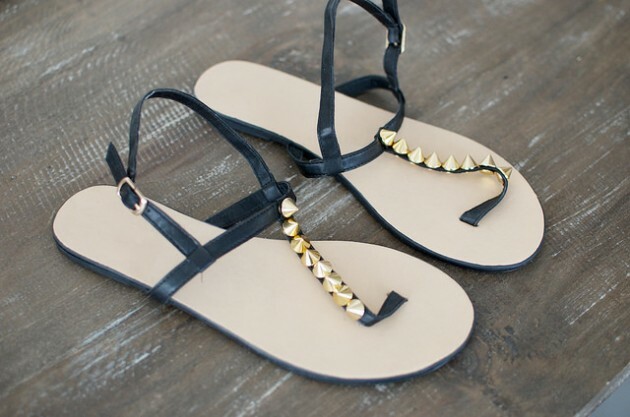 Take your own walk of the stars in these suede caged sandals with gold stars. To have a perfect pair of summer sandals, you can add chains to your favorite pair and have a wonderful addition to your closet! 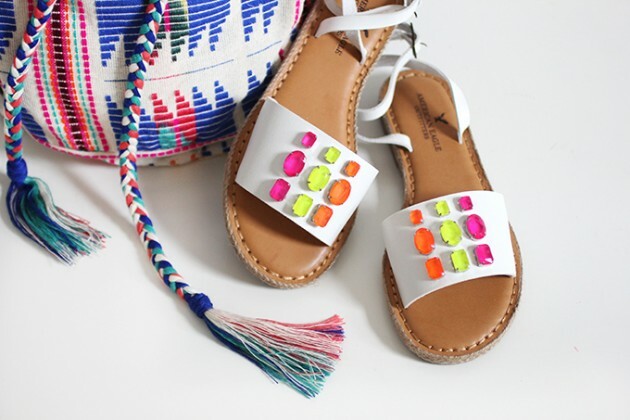 This DIY project is really easy, only requiring a few supplies: neon gems, glue firm paintbrush and of course, sandals. You only need to arrange the gems in a fun pattern. Then glue on the back of each gem with the brush and then place on the sandal. If these sandals are a little too exotic for your everyday wardrobe, they’d also make perfect Cleopatra shoes for Halloween. With a little creativity, you can make these cute scarf sandals out of your old flip flops. All you need are some cheap flip flops, a colorful scarf and scissors. The best part is, if you ever get bored, you can just change up the scarf and give your sandals a whole new stylish look all over again. You can made your own version of the gorgeous bead embellished heels from the Burberry 2012 Resort collection. Just follow the full tutorial below. Thank you for reading! 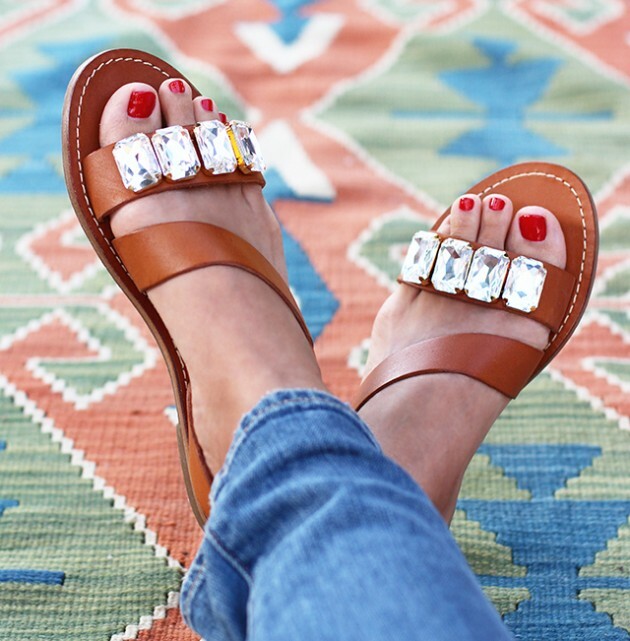 Which of these embellished sandals is your favorite? Tell us in the comments below.